Here's an entry sent in by Aileen of her lovely daughter Lia Isabelle with a DwellStudio for Target blanket. In case you didn't know, DwellStudio has a line out for Target - of beddings and baby stuff! "My three-year old daughter Lia Isabelle loves being a princess and rides her make believe magical flying carpet (Dwell Studio blanket). She flies around the house swishing the soft cozy blanket, enjoying the moment as it comes. 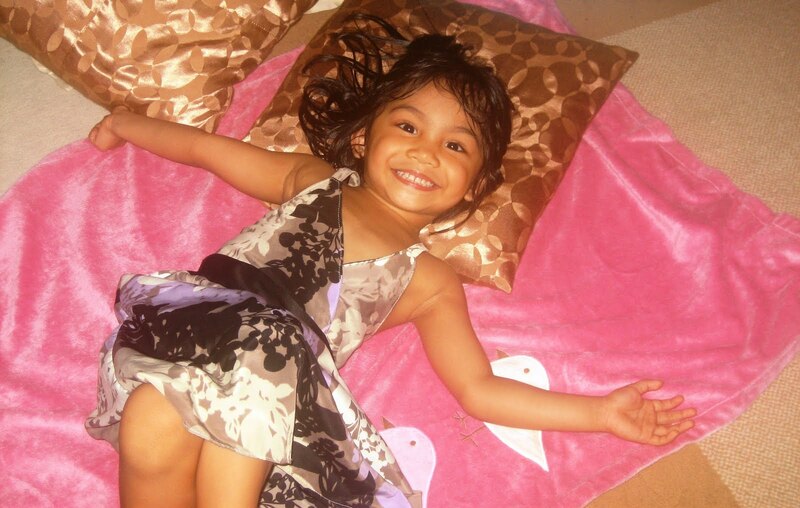 The blanket stood as a silent witness to my daughter's childlike happiness and joy."